We are actively recruiting for a Financial Planning & Analysis (FP&A) Manager. Erik J. Morrissey, CPA, leads our Accounting and Finance Group, focusing on direct hire placements across all industries. Erik is responsible for representing top talented accounting and finance professionals at all levels of their careers. Prior to joining J. Morrissey, Erik was an Experienced Audit Senior with CohnReznick LLP and worked with clients in manufacturing, distribution, healthcare, professional services, educational, and not-for-profit. As lead auditor on his engagements, he was able to learn various management styles and organizational structures which allows him to better understand the true needs of his clients as a recruiter. His knowledge of the accounting industry enables him to communicate effectively with his candidates to ensure the right fit for both parties. Erik is actively involved in the Cherish the Children Foundation; serves on the Board of the Windsor Chamber of Commerce as Vice President – Community Relations; serves on the CTCPA Golf Tournament Interest Group and the CTCPA Future Professional Accountant Committee; Serves on the Bushnell Young Professionals Advisory Group and on the Post University Accounting Advisory Board. 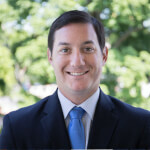 Erik is also a member of the Healthcare Financial Management Association, Greater New Haven Chamber of Commerce and Glastonbury Hills Country Club. Erik obtained his Bachelor’s degree in Accounting from Bryant University in Smithfield, Rhode Island. He also has his Master’s Degree in Accounting from Post University and is a Certified Public Accountant.